How to change number of products in Product Archive page? Jupiter X Shop Customizer introduces a new way of customizing anything in your shop, the easiest way possible without any line of code. It has premade templates, a set of options to customize the paddings, margins, backgrounds, alignments, colors, typography settings, pagination and anything else you can imagine. The good thing about the Shop Customizer is that you can see what you are editing because all the edits are live and available through Shop Customizer. Note: In order for the Shop Customizer to work, WooCommerce plugin must be installed and activated. To learn how to activate it, check out this article. You should install the WooCommerce default pages as well. You can install them via WooCommerce Setup Wizard or from WooCommerce > Status > Create pages. 1. From WordPress left menu go to Jupiter X > Customize. 2. In Customizer, click on Shop > Product List. 3. A new window will open up with all the available options to customize and style a Product Archive page. 4. 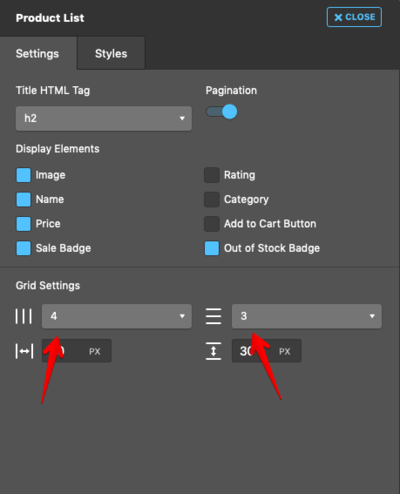 In Settings tab and Grid Settings section, set the number of rows and columns. Number of products would be the multiplication of rows by columns. 5. Click on Close button after you've customized the settings. Beware: Changes take affect only on WooCommerce default Product Archive page. 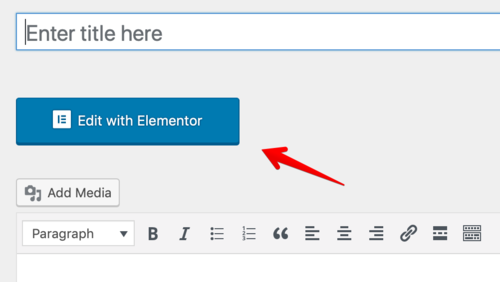 If you create a custom Product Archive page in Elementor, you can customize it inside the Elementor.